My sister discovered this little item inside Daiso Japan, a dollar-store type franchise located in San Francisco’s Japantown. Yes, that is “Arcilla” on the box. 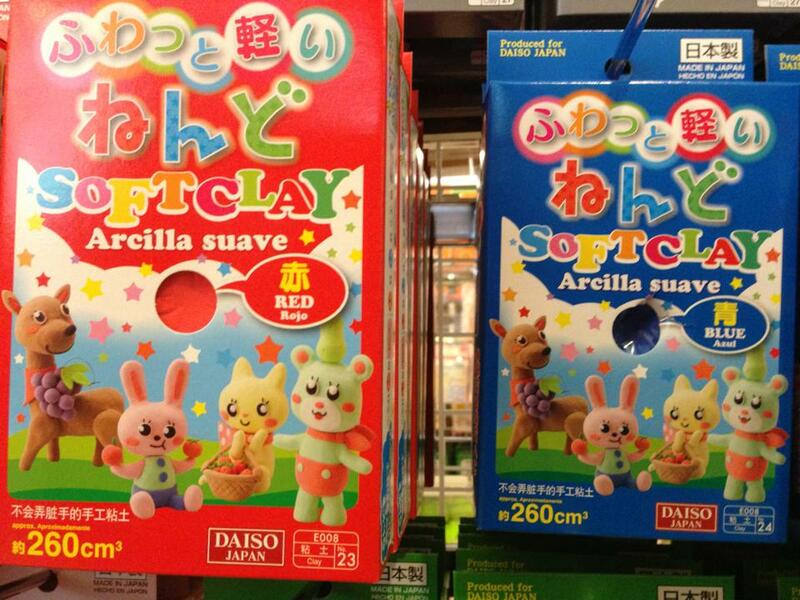 “Arcilla suave” is Spanish and essentially translates to soft clay, as noted on the package. I had absolutely no idea that arcilla translated to that until I saw the image. I guess arcilla was never on our list of vocabulary words during my 4 years of Spanish in high school. Now that I know the definition, I find the meaning of my surname strangely fitting… for myself in particular, anyway. As moldable and shapable as clay is, I believe the same applies to me. I would consider myself to be somewhat of an outcast. I have friends, but they are few and I don’t really hang out with them much. I’m close to my siblings and other family members, but I don’t really see them that often (even though most of them live locally). I would like to think I’m relatively easy going in a conversation, but I don’t really speak with anyone on a regular basis. I lead a relatively lonely life and most of my free time is spent alone. As I mentioned in a previous post, going shopping, to the movies, or even to restaurants alone were common occurrences. I’m most definitely not a social butterfly, though I’m pretty sure you would find that hard to believe if you’ve ever overheard me in a conversation with family or friends. I enjoy a good laugh, love to joke around, and I may seem boisterous at times. Despite this, I’d say for the most part I’m relatively quiet and keep to myself. During my years in elementary school, my family had moved across the county line and I had to transfer schools. It didn’t quite go the way you normally see happen in dramas, manga, and anime. 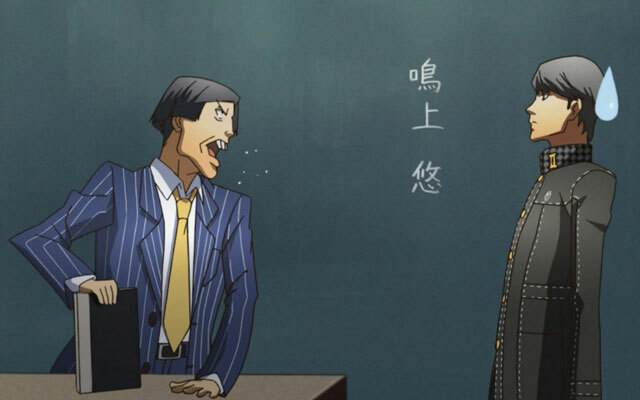 There was no fanfare or mystery surrounding the new transfer student. I was simply another kid at the school. I was dropped in a new environment with no friends from my previous school in sight. It was quite challenging trying to adapt and establish myself, especially when taking my personality into account. I was eventually able to make friends and that in itself was no small feat as I was extremely shy back then. Even though I had friends, I’d say my interactions with the rest of the student body was pretty much non-existent. This pretty much continued through middle and high school. I kept most of the same friends and rarely took on anyone new. I remember struggling to fit in. Or maybe it’s more accurate to say there was no place to find a fit in the social puzzle at my schools. If I were to compare the student body with statistics, I’d probably be an outlier. My position and status at school didn’t really have a category. I was simply off the radar. I wouldn’t even say I was the average kid. The average kid had a far more significant role than I did. I was just kind of there. It took a while to find, but one medium I had to try to fit in was with art. Simply doodling on my notes in class presented a way I could potentially spark up conversations with people who just happened to notice my drawings. Teenage Mutant Ninja Turtles was all the hype at the time. Once my classmates found out about my supposed skills, I was able to find my niche in the machine, taking and fulfilling their drawing requests for them. Outside of art, I didn’t really have any other way to bond. I wasn’t really into sports so that was pretty much all I had. There was this one sad and pitiful situation I got myself in during that school year that I’ll never forget. I was quite a chubby kid back then, and my classmates coaxed me along with another big kid in the class to race against each other. Despite the humiliation, I accepted the challenge as I believe I saw that as an opportunity to fit in at the time. “There was no way I was going to lose this”, I thought to myself. That day, I was probably the fastest fatty they had ever seen. I dusted that other guy (I still remember his name too). I remember feeling proud with all the praises I received afterwards. They were quite surprised at my supposed speed. However, that was pretty much all the fun they wanted to have with me and the “cool” kids moved on to other interests. My efforts were pretty much in vain, and I wasn’t really surprised. Who was I kidding? Not like my victory there would lead to anything anyway. Middle and High school provided fewer and fewer opportunities. I started playing basketball and football during free time, but I was basically playing with the friends I had already established. During plays in English class, I would try my hardest to act out my part. I read the lines I had been assigned with all the emotion I could muster, but it didn’t seem like anyone cared. I eventually got into music through the church choir during high school, but there was definitely no way to exercise that aspect at school. I mustered up enough courage to eventually try expressing that by auditioning to sing the national anthem for my graduation ceremony. Better late than never, right? That opportunity fell flat though as my rendition was pretty much conceptualized and performed with harmonies in mind rather than as a solo performance. I guess you could thank my choir experience, R&B music, and my singing group at the time for that. Add that with the nerves of singing in front of complete strangers and you could see why that didn’t work out. Any time an opportunity arose where I could try to fit in, I would take it. Now this definitely wasn’t a “by any means necessary” type deal. I would not step beyond my own personal and moral boundaries to fit in. If it involved something like cursing, drugs, or breaking the rules, I’d pretty much steer clear. For everything else, I figured why not? Just like a lizard, I’d readily change my skin to match the environment. One such opportunity I took involved forcing myself into interests that didn’t really suit me. I remember trying to participate in some fantasy leagues with a few of my friends despite my lack of knowledge in that area. I was already good friends with them, but I wanted to be involved in their other interests as well. Yes, I do love sports, but I don’t follow them to that level of intensity. I hobbled along helplessly, trying my best to research the teams, players, and stat splits. I subscribed to various forums and newsletters and tried to research as much as I could. Needless to say, I was handled quite easily in baseball, basketball, and football. I doubt I would try it again if they asked me. On another occasion (as mentioned in a previous post), I took a chance by attending two mixers during my “online” days. They basically held a house party for the chat rooms that I frequented. I decided to attend and I brought along a close friend each time. Though I did hang out with a few people there and maintained somewhat of a friendship with a few afterwards, I’d say I really had no purpose in being there. I wasn’t of drinking age, and I probably wouldn’t have drank even if I was. I honestly don’t even know what I was seeking to accomplish there. My friends actually had an easier time fitting in with the crowd than I did. I probably wouldn’t have had any place there if I went alone. Now I don’t know if you could really compare this one with the other two, but it still was an outlet I tried. I hated not being able to participate in a conversation with my friends. I always felt like I needed to help reduce the distance between them in whatever ways I could. When they would talk about a game, sporting event, television show, or whatever it may be, I would try my hardest to follow along with the conversation. The problem was that I would sometimes do this even without having partaken in the subject at hand. Simple questions such as “have you seen xyz show/movie” or “did you watch the game” I would be quick to answer, affirming that I did even though I did not. I felt that instead of being forcefully ushered out of the discussion due to my lack of knowledge or experience, I would rather fabricate a lie just to fit in. I would quickly acknowledge their inquiry and try my best to follow the conversation and move it along, even forcing laughter where laughter was expected. This wasn’t even limited just to friends or acquaintances. I can recall quite a few times I would lie to family. I would never outright lie about any huge matters either. It was always for these little trivial matters like watching a TV show or a movie and stupid little things like that. As for the reasons behind my behavior here, I didn’t need to delve that far into my thoughts to reveal the underlying causes. I’m pretty sure I presented enough backing information regarding this matter. I believe apologies are in order. I’m not sure when this began, but I will confess here and now that I’m quite the liar. Not a pretty little one either. It’s has been a bad practice which has become habit and almost reflexive, and I still catch myself doing it to this day. Though my lies may be categorized as that of the “little white” variety, that doesn’t make them any less of an offense than they are. They’re still lies. I’m not trying to downplay my lying either. There’s tons of verses on it and they’re all pretty damning with regards to the consequences (Proverbs 19:9, Proverbs 6:16-19, Proverbs 12:22, Psalm 101:7). I’ve racked up enough frequent liar miles to book myself a one way ticket to Hell, I’m sure. Well, that ticket was already in my hand at birth, I suppose, but you get the picture. In Colossians 3, we are called to put to death the old self along with its evil practices, and I’m definitely preaching to myself in my admonition here. I need to put on the new self according to His image. As much as I have sought to fit in to this world, His Word calls us to not be conformed to this world, but rather to be transformed from this old self and prove what the will of God is (Romans 12:1-2). This is a high calling, but we are called to be just that. Just as Jesus was set apart in his humanity, so too do we need to strive to be set apart in ours (Ephesians 2:10, 1 Peter 2:9). How can we be ambassadors if we fail to do so? How can our salt have any effect if it loses its taste? How can our light shine if we put it under a basket? We need to let our light shine forth and be examples to this world, pointing them to the Savior (Matthew 5:13-16). Once again, I just want to apologize if I have deceived any of you. No, I didn’t catch that 49ers/Warriors/Giants game. No, I haven’t watched a single episode of the Walking Dead (well I saw it playing on TV while someone else watched, but I wouldn’t count that as watching). No, I didn’t work on your drawing at all. No, I wasn’t too busy to do what you asked. In looking back, I don’t think any of my lies have even brought me any greater standing than I would have had with the people I lied to. In the words of Ruben Studdard, “this is my sorry for… 2004“… and not just for that year, but for every other year that I spewed out lies for that matter.